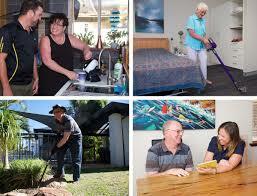 Independent Living Centre, Western Australia – Making Choices, Finding Solutions. Making Choices, Finding Solutions magazine is a guide to assistive equipment and home modification options for safety, independence and wellbeing. The guide has been developed to assist clients to find simple assistive equipment, technology and basic home modification solutions available in local stores and online. It contains a range of useful tips and advice to help people better manage everyday tasks and common frustrations. We are delighted to see our kettle featured on the front page of the Making Choices Finding Solutions Magazine alongside other Daily Living Aids and in the Kitchen Aids section of the guide. We were also delighted to see so many fantastic tips and tricks on how to better manage everyday tasks and common frustrations. To view the Making Choices, Finding Solutions guide follow the link below.